Welcome To Pine Tree Ranch. 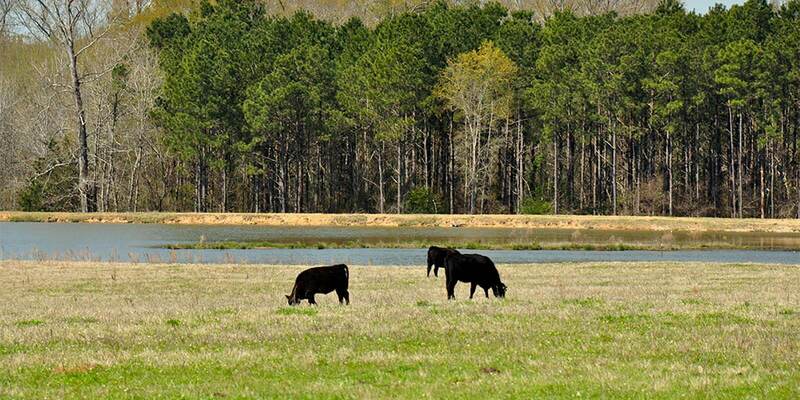 Pine Tree Ranch is a 625-acre ranch in Coushatta, LA, and includes additional grazing ranges in East Point, LA, & Bradley, AR. 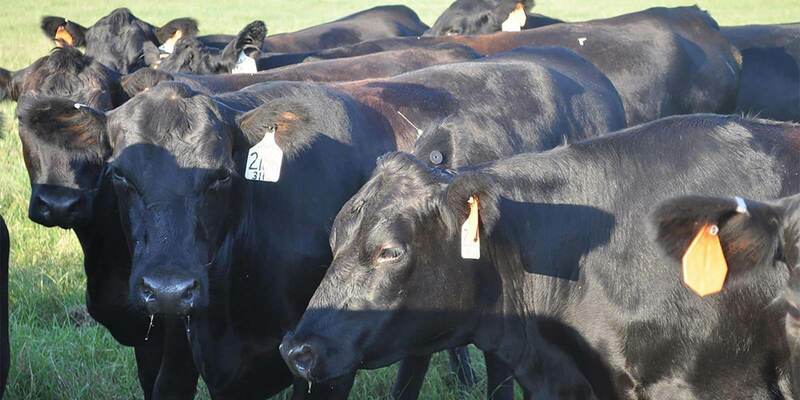 We are home to a strong herd of Black Angus cattle, which includes over 100 registered and 300 commercial cows. 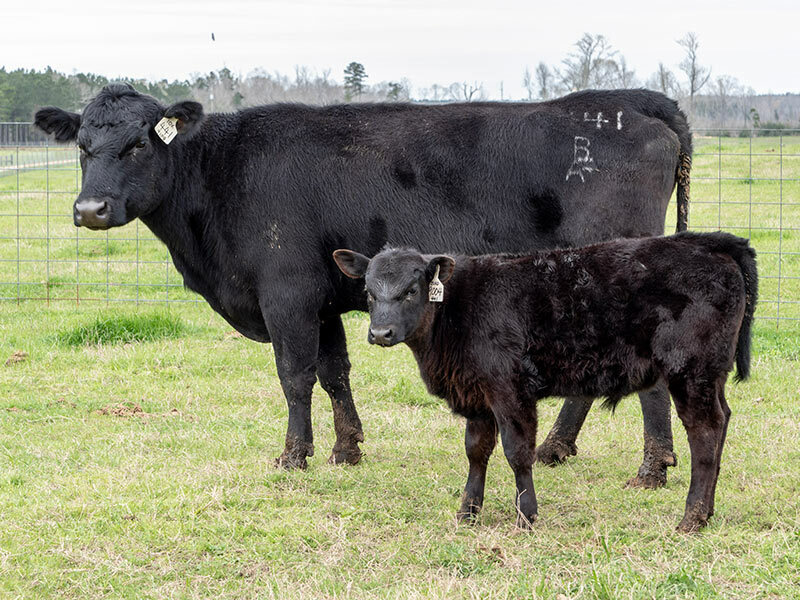 Our cowherd thrives on forage, reproduces readily, calves easily, and raises high quality calves without the need or use of antibiotics or growth enhancing hormones. We have selected particular cattle traits to produce animals that are efficient in our range environment and thrive by feeding themselves. Our philosophy is that our cowherd must consistently and efficiently convert our basic grass resource to quality beef. We select for cattle that are well balanced and highly functional. Practicing this philosophy has refined our cowherd into low maintenance yet productive cattle that flesh easily and have high carcass quality in traditional feedlot, forage-fed, or grass-finished programs. Most recently, a portion of our calves were sold and fed at Cattleman's Choice Feedyard under the GAP All-Natural P42 Program. The finished calves were then sold and graded by Tyson's Fresh Meats. 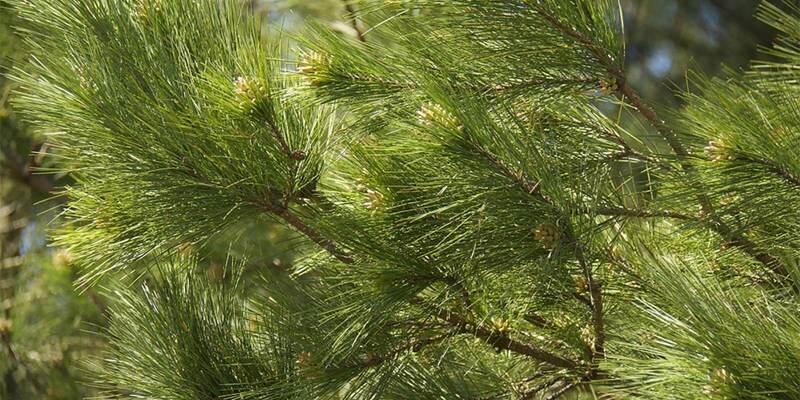 Please enjoy our site, visit regularly, and drop us a line if you would like more information. An exciting bred heifer out of SureFire and a Prophet DAM out of the DAM of Deer Valley All In. This is very solid Gardiner breeding. 7802 is in top 1% of the breed for marbling, $G, $QG, CED. Her DNA profile and scan data back up the marbling EPA with a top 1% in DNA profile and an 8.81 pct.IMF scan. She sells A.I. bred to SAV Raindance 6848. 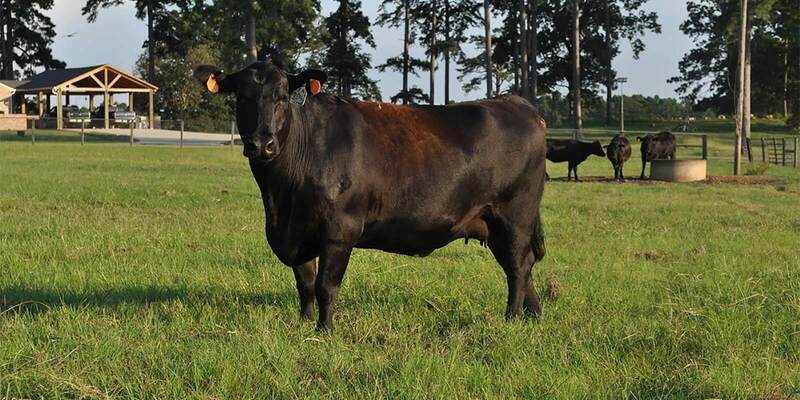 See her at the Louisiana Angus Association Heifer Sale on April 27, 2019. Bridges Ten X 441 is a very nice Ten X daughter. Check out her registered bull calf by VAR Echo. Top %'s in multiple categories. This bull calf is big and stout and will pay for his mother twice over. 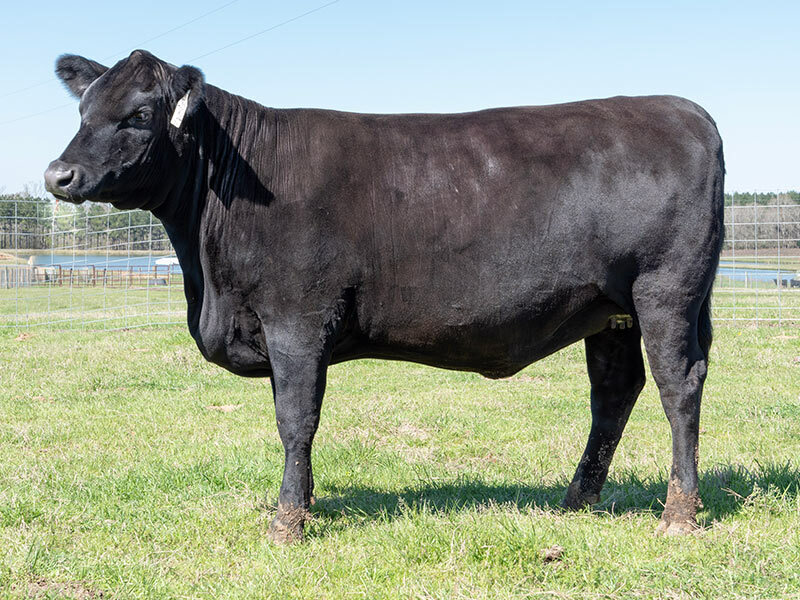 Come see Bridges Ten X 441 with Pine Tree Echo 9004 in the Louisiana Angus Association Heifer Sale on April 27, 2019. Send us a message and we will respond promptly!